Xiaomi Yi Camera launch, coincided my thought of buying first Sports action Camera to test with Syma X8C Quadcopter. Excited about this camera, Ordered one from banggood, started to Google the first looks, here is what i came through, a quick review of Yi. 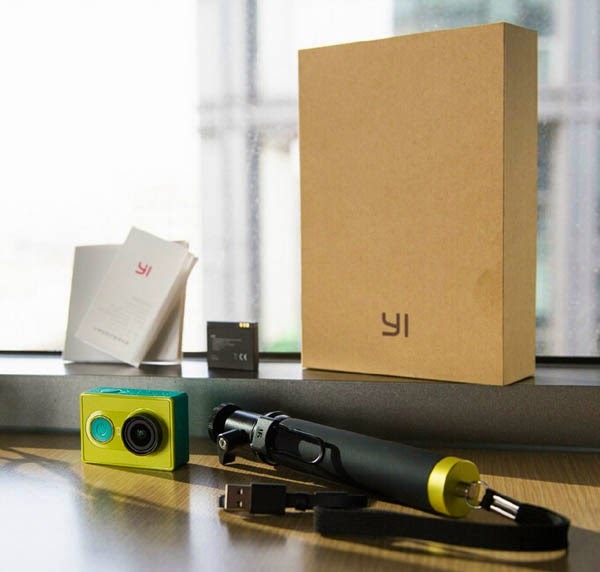 As evident by now, Xiaomi Yi Camera comes in two versions, the basic without the Self-pole stand and the Travel Edition which includes the Self-pole. Weighing only 72 grams, resembles the size of a matchbox . 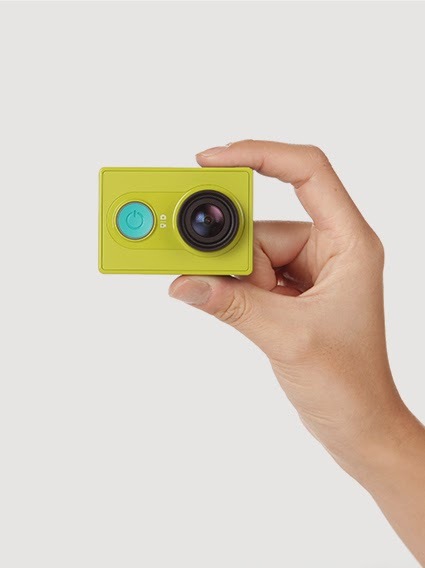 Looking almost similar to Go Pro Hero in terms of Weight and dimensions, Yi seems to be a vibrant colored GoPro. Equipped with a global professional sports Ambarella A7LS image processor and 16MP Sony's back-illuminated image sensor, yi can capture clear bright and colorful images. 155 ° super wide-angle lens gives more powerful effects to support every play and creativity of action and sport at different speed modes. 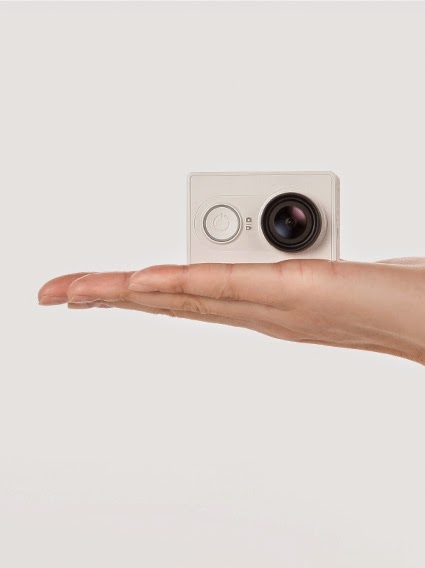 Xiaomi yi camera offers four kinds of recording modes - hi-speed, speed, sport and daily mode, meeting the needs of different picture and video creation. MCTF powerful 3D noise reduction and motion compensated temporal filtering technology allows to take outstanding pictures under low light and bumps. GeekPark compared the performance of Yi Camera with the rival GoPro Hero3 and Hero4 with recording parameters set at 1080P / 30FPS and using a single tripod, to simultaneously test the frame rate and video quality. In comparison,the video quality of GoPro Hero 4 Black, undoubtedly dominated the GoPro Hero3 and Xiaomi Yi. Yi impressed with the image stability and the picture quality and surprisingly the picture and video quality is far better than Go Pro Hero 3. Overall, Yi video results seems to be pretty good, for the price of $64. 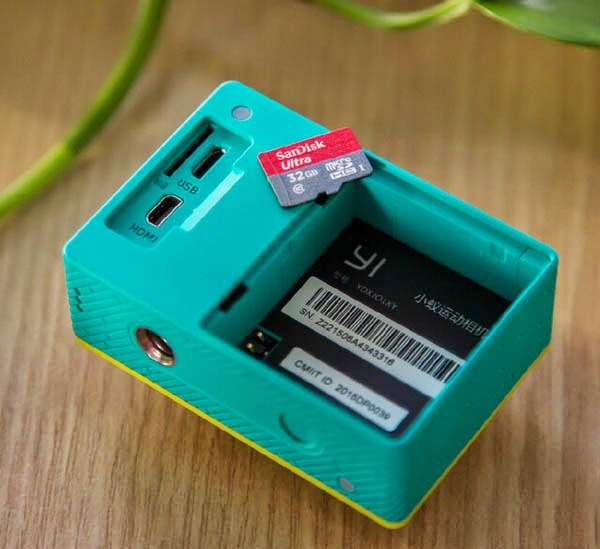 Impressively, pictures taken with the yi sports action camera turned out very good. Relatively, GoPro 4 Black pictures are more realistic. GeekPeak also commented that GoPro 3 Black performance was not upto the mark when compared to Go Pro 4 and Yi, metering is not that satisfactory. Now, Where to Buy Xiaomi Yi Camera? Click here to buy from banggood. use the below coupon code during checkout to get discount . Use this coupon at checkout to get discount on Xiaomi Yi Camera order! Discuss more about this beautiful mini sports camera, using the below comments section. Hi! Can I use the Xiaomi Yi Camera with the Syma X8W?? Thank you AnsPri. Will do just that. How do you mount this to the x8w? Can you show me how to hook up the fpv cable to my x8w for the yi camera?? Can you show me instructions on how to hook the fpv cable up for the xiaomi yi to my x8w?? Need to know same thing too.